As kiddy as they are (or they may look like), there’s an aura of extreme danger lurking around them. They may look cute, innocent, and child-like in all their facets but, as the saying goes – looks can be really deceiving! One moment they lash out a pure innocent smile, and then on another moment, they emit an eerie air of pure murderous intent. 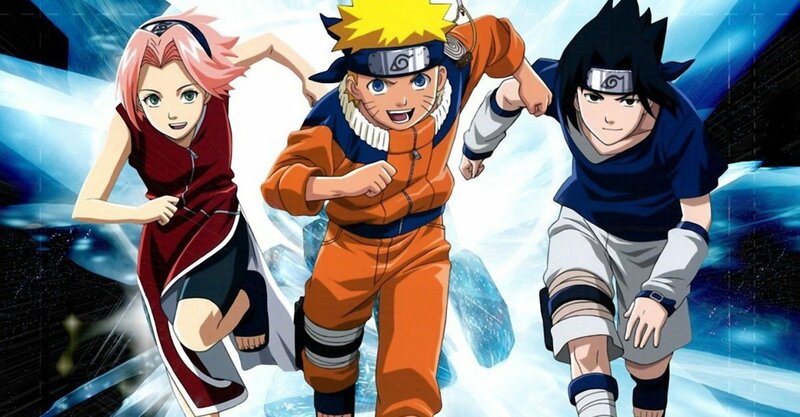 Here they are…from the deathly wonderland of the anime world – the Top 10 Most Deadly Children in Anime! It was fairly easy to name the deadliest children in anime as they almost always never fails to stand-out in their respective shows with their obnoxious antics and precarious ways. The problem is – ranking them on a scale of 1 to 10 (Top Ten)! I considered a lot of benchmarks such as their deadly skills and powers, their age, their overall personality, and their danger factor. So here’s the result, more or less, these are the deadliest and most dangerous children in Anime! Blazing in at Top 10 with the speed of lightning is an assassin boy raised by the infamous Zoldyck family of professional killers. He can be the best of friends you could ever have, but he can also be your most terrible nightmare if you get on his cold, cruel, bad side. Let us welcome with a round of applause – Killua Zoldyck! Raised to carry the legacy of the entire Zoldyck family, Killua was subjected to all kinds of intense training including torture, pain, and tolerance exercises ever since he was born. Everyone in his family brought him up in order to be a bloodthirsty, emotionless, killing machine one day. But ever since he grew with his own individuality and became aware of the manipulation, he tried to rebel and find a path of his own (which excludes killing as much as possible). Nonetheless, his cruel and vicious side still shows whenever someone hurts him and his friends. He also does not mind snuffing the life out of anyone who betrays their companions and belittle the meaning of life. He’s a professional assassin at his core. 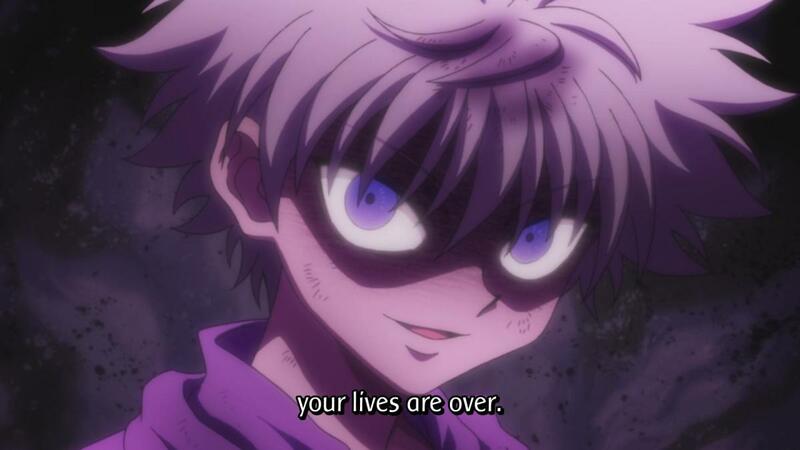 Killua is certainly not someone to be messed with! Even though he’s just a 7-year-old kid with an appetite for intergalactic battles, Desil Galette makes it to #9 with sheer child’s cruelty and hunger for ruthless entertainment. Desil Galette is for a fact is the youngest pilot ever in the Gundam series universe. He has a rare skill that’s very suitable for mobile suit combat and tremendous raw talent to participate in battle despite his age. Besides all of that, Desil fights as if he’s just playing a game treating everyone as toys and breaking them as he may. Desil might just be a child, but his selfish outlook as well as his twisted ways are enough to have him regarded as a massive and deadly threat that befits of a spot on this list. He’s a 14-year-old boy! Still a kid, nonetheless! But very dangerous especially when equipped with BIM explosives! Pair that up with a terrible childhood trauma and a warped personality – then you’ve just got a real menace on the loose! BAAAAM!!! As part of growing up, Kira Kosuke mostly lived with his abusive father who never showed anything but violence and spitefulness to him. 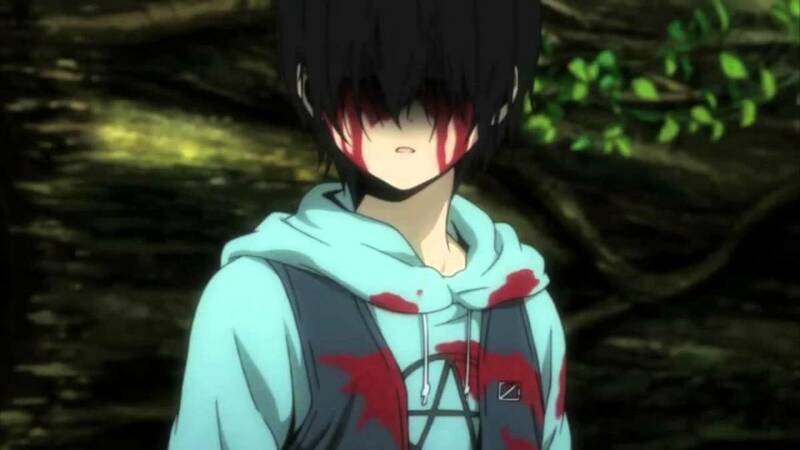 As a result, he grew up alone and addicted to games (BTOOOM), which added more to his father’s fury and wrath. And so one day, he ran away from home resorting to pickpocketing on the streets and eventually…far worse inhumane deeds! Because of the grave crimes he committed, he’s now on a desolate island made to play the survival game, Btooom, in real life. With overwhelming experience on the game itself (he played it countless of hours online) and his apathetic nature caused by his childhood trauma, he’s a deadly force to be reckoned with on the island. As the youngest player of a fatal survival game which stakes the title of god of space and time, Reisuke Houjou breezes in as Top 7 of this list with his disturbing killer antics formulated with an innocent smile on his face. As the youngest character on this list (at age 5-years-old), Reisuke is actually just a child in all aspects. His smile, his movement, his ways – no matter how you look at it, he’s just an ordinary kid. But, despite the looks, he actually is one smart kid (genius-level perhaps) who knows a lot about science (especially physics and chemistry). Reisuke claims that he never slept together with his parents (with both always fighting and resorting to domestic violence). 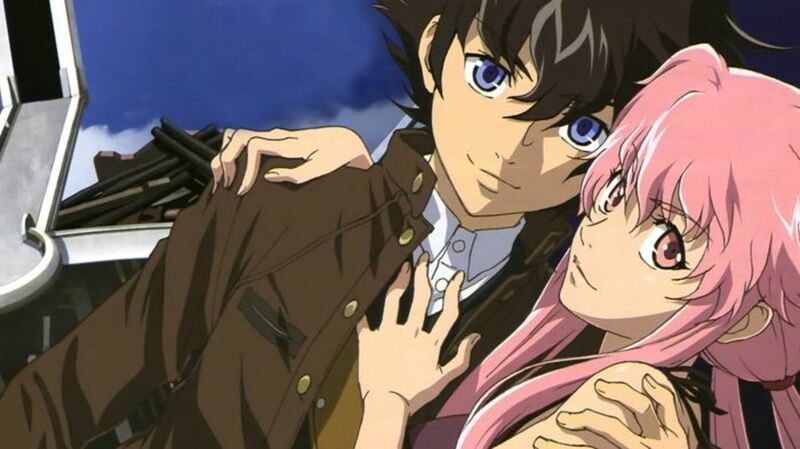 When they both died in an event involving the survival game of the future diary holders, Reisuke joins the battle as Fifth first-targeting the ones directly involve in his parents deaths. It’s nothing personal though, he just wants to play the game with all his might. And as proven by the game, Reisuke is as ominous and deadly as his looks and age might say otherwise. 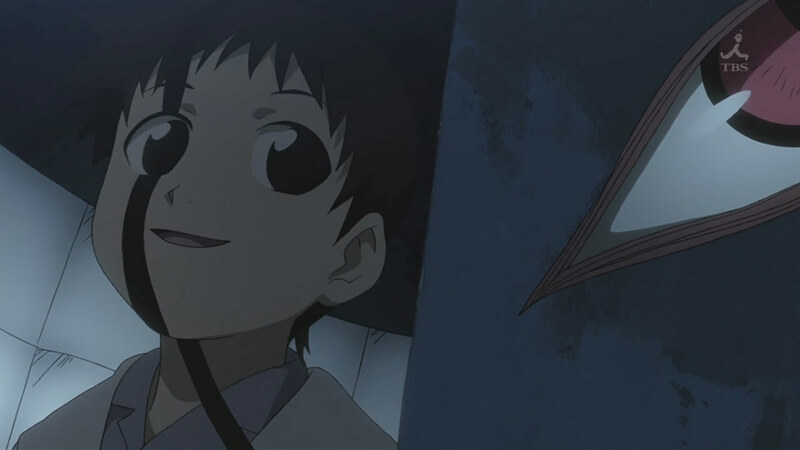 While posing as an innocent-looking child, Selim Bradley (who’s actually the first and most powerful homunculus “Father” created, Pride) scampers with his razor-sharp shadows at #6! Even though he isn’t literally a child, who would have thought he really isn‘t in the first place? 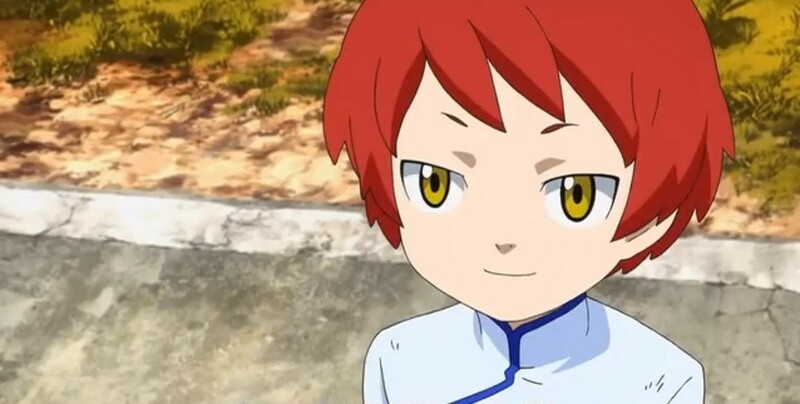 Looks can be deceiving after all, and Selim/Pride has proven this for a few hundreds of years again and again. And oh, being the first and most powerful homunculus “Father” created, Pride can whip out his razor-sharp shadows and slash and pierce anything and everything as if they were nothing! Also, having you ever seen his face when he’s on a killing-spree? Wickedness has never been this adorable! From the depths of Deadman Wonderland rises a very young girl with a twisted sense of justice and a humongous sword of carnage. She’s no none other than, the undertaker – Hibana Daida! Having had suffered from a young age of four (4) the mistreatments of her mother under the pretense of making her a good girl and eventually a fine lady, Hibana Daida brought up her upbringings in the form of an undertaker that loves torturing her enemies before finishing them off. She knows no sympathy as her emotions have been sealed off and her personality has been shaped into something monstrously twisted. And so, with the idea of her turning more and more of good girl/fine lady for every punishment she executes, Hibana relentlessly scours through Deadman Wonderland in order to punish those who she thinks deserves to be punished. If you think that Alluka’s just another cute little girl (not 100% sure about her gender but I’ll regard her as a girl in this one), then think again! Yes, she has zero combat capability but check that family name out – it’s Zoldyck, the family of assassins! And believe it or not, even if she can’t fight directly nor do any frontal assassination attempts, her power is feared even by her own family of ruthless killers. Alluka/Nanika has the eerie power of granting any wish. There are no known limitations as to what she wish she can grant (as long as it conforms to reality) but, the backlash of making a wish is very grave! The bigger the wish, the bigger the backlash! If for example a wish was granted, the next one who attempts to wish -and fails- shall suffer being crushed to death along with those he/she has spent his/her time the most. Imagine if someone wished a near-impossible wish beforehand, that would potentially risk the whole of humanity. It’s a good she’s under the care of her brother, Killua, who knows the inside-outs of her power and is a special exception to her. Phew! 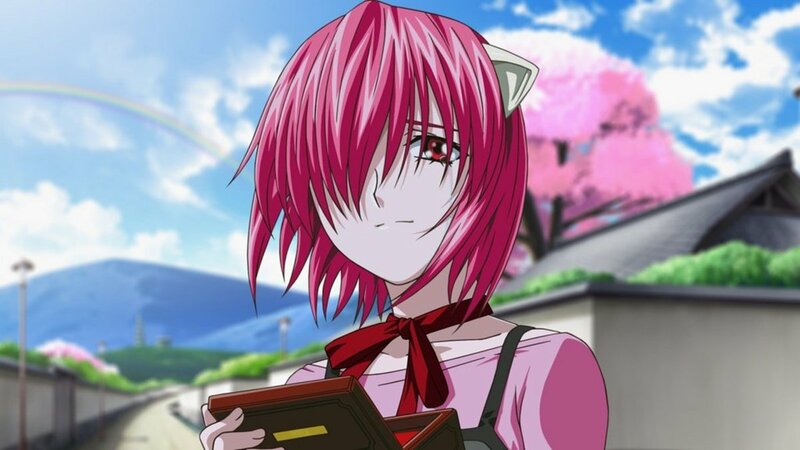 If you’ve watched Elfen Lied, then you’d know how seriously dangerous Silpelits/Diclonii are. 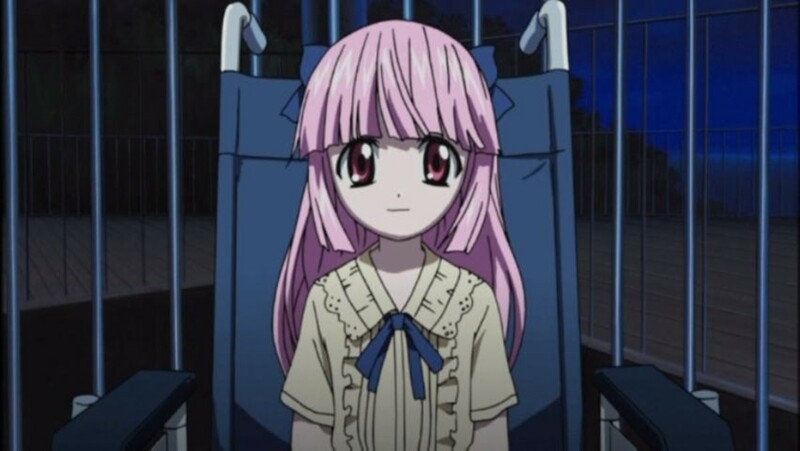 One of them is Mariko Kurama, and she’s one of the most dangerous and youngest Silpelit/Diclonius shown in the series. 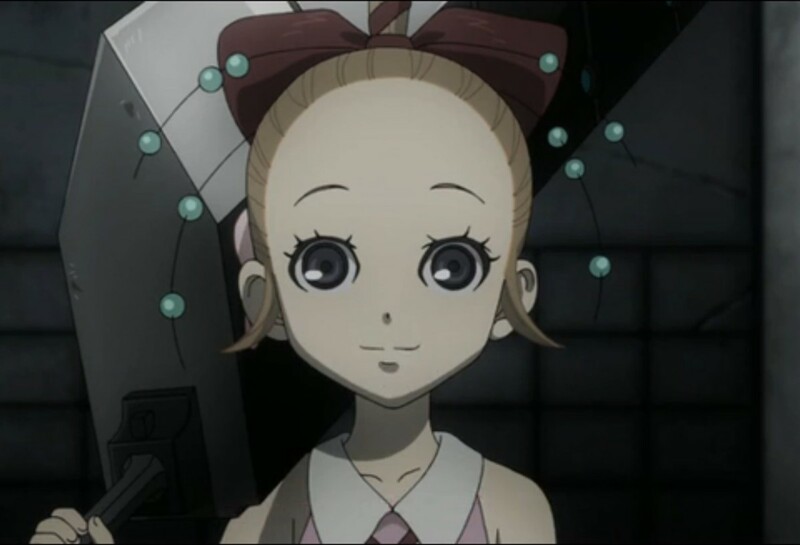 Mariko as shown in the series is highly deadly and dangerous which warrants her to be contained in tightly guarded cell in a high-security facility. For her vectors (invisible arms mostly used to assault and kill), she has a number and range far greater than the other Silpelits/Diclonii. Combine all that with her forbidding nature (akin to that of a child playing and breaking toys at whim), her existence is a serious threat to humanity. Under any circumstance, do not approach! I repeat, do not approach! Do not retaliate nor attack, just run! 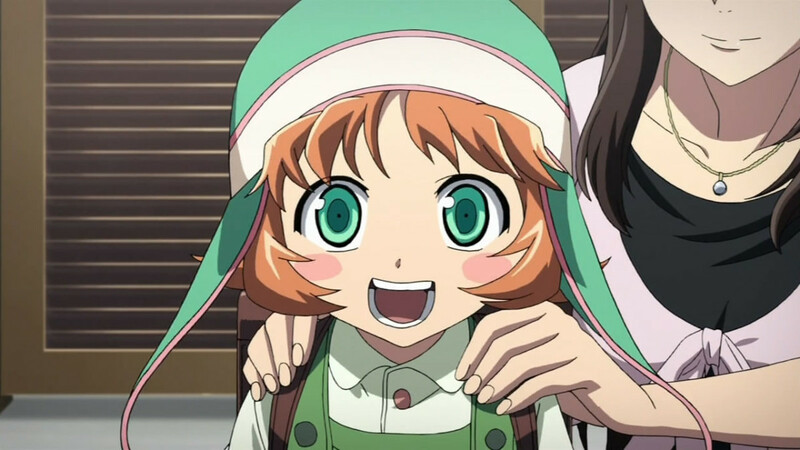 Messiah/Akki is one of the deadliest children in anime garnering her the Top 2 spot on this list. She’s totally human, but she wasn’t raised as one. She was raised by the Queerats as the ultimate weapon that will bring the extinction of humanity. No human can ever hope to match her because of the “Death Feedback” embedded in their DNA. And so, at the face of the Messiah/Akki, no human is safe no matter what they do. Couple that fact and her psychic powers with the coaxing and brain-washing of the queerats, she is the ultimate weapon of death against humanity. As Sachiko Shinozaki is ranked first on this list, that means her danger-level is at the highest. I don’t even need to warn you now because if you ever encounter Sachiko or be transported to her hellish domain (Heavenly Host Elementary School), no running nor hiding can ever save your life! It’s practically hopeless! 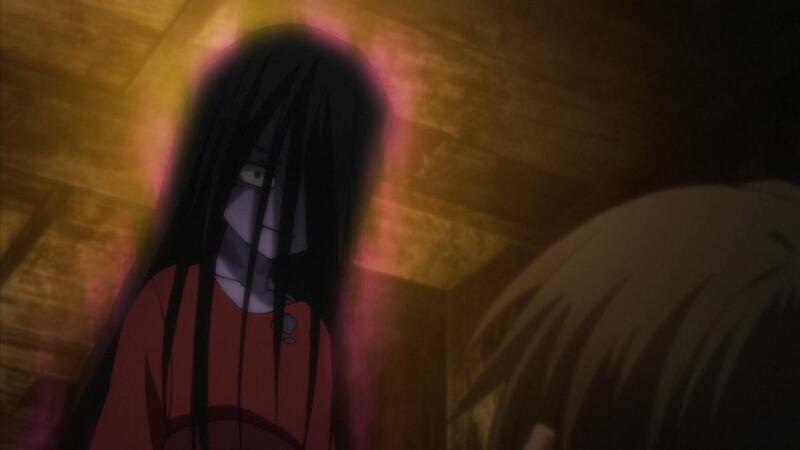 Having had suffered a horrible life, the malice of the ghost of Sachiko grew to humongous proportions that she created a dimension similar to hell itself. Even in the world, she has tremendous power capable of warping reality and sending unlucky people to her hell. There, she tortures them and eventually kills them, then tortures their souls for eternity. The only way to stop her is to appease her soul. But that also seems to be a near-impossible feat! If you meet any of these kids in real life, how screwed are you? I'll start running for my life! Nah. I'm much more twisted and deadlier than them! 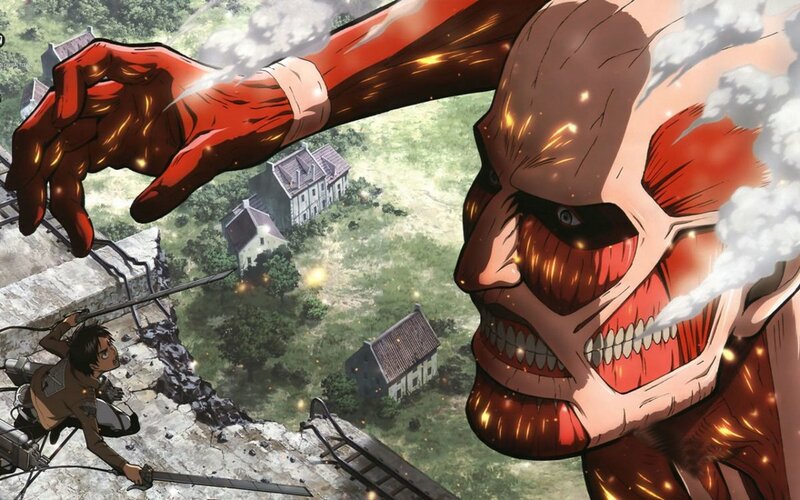 Here are the Top 10 Best Horror Anime you could catch and see. Sit back to the scares of the horror genre and enjoy. 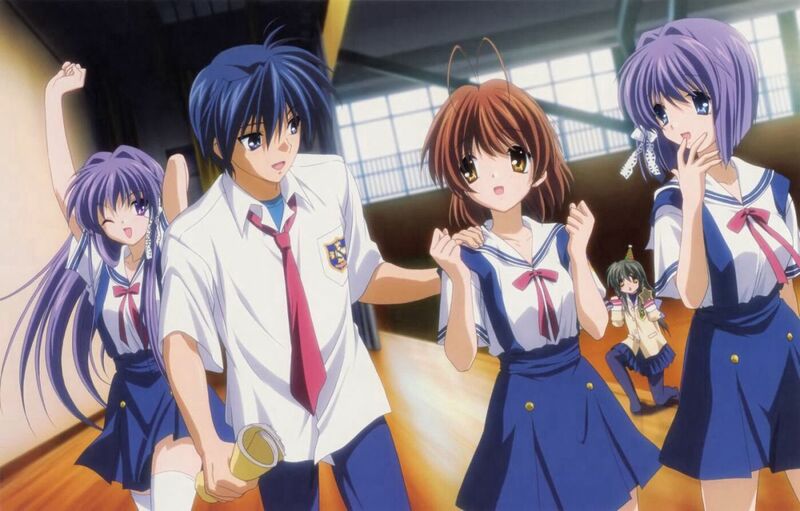 Here are the Top 10 Best Romance Anime for your heart-strings-tugging needs. Love will surely be in the air with these sweet romantic anime shows. Here are the Top 10 Best Sports Anime you could watch. These are the best in the sports genre so enjoy watching. Here are the Top 10 Best Harem Anime you could catch and see. Have fun with the great collection and suit yourself well. Here are the Top 10 Best Mecha Anime you should not miss! These are based on my own preferences and how recommendable they are. Now ride your own mecha and drift through the heights of excitement! Best Horror Anime You Need to See: Do You Dare Face the Terrors? I agree mostly but i think killua should be listed higher since he is definitely stronger than kira. He just stopped killing so often but hes still deadly af. Karma from Assassination classroom should be on this unless he is to old. @Miran Shuleta Awww...but I like Alluka. She's super adorable even as Nanika. Well, I do agree her power is really creepy and dangerous. 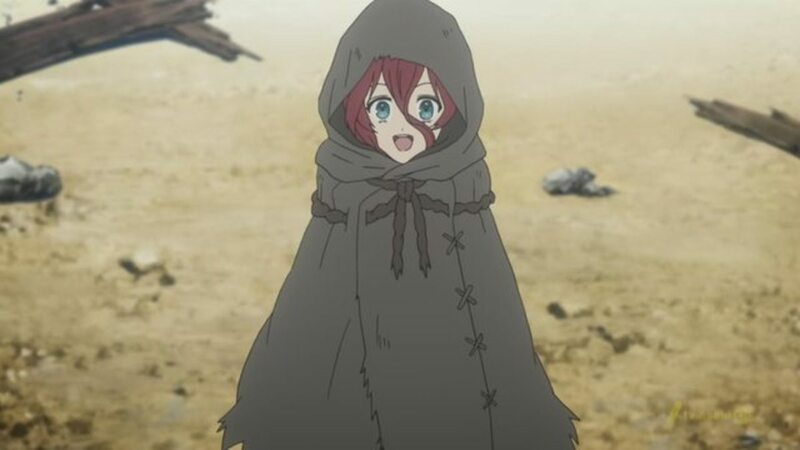 I still want her as a sister though (if she even is a SHE). Hehehe. Very cool list! 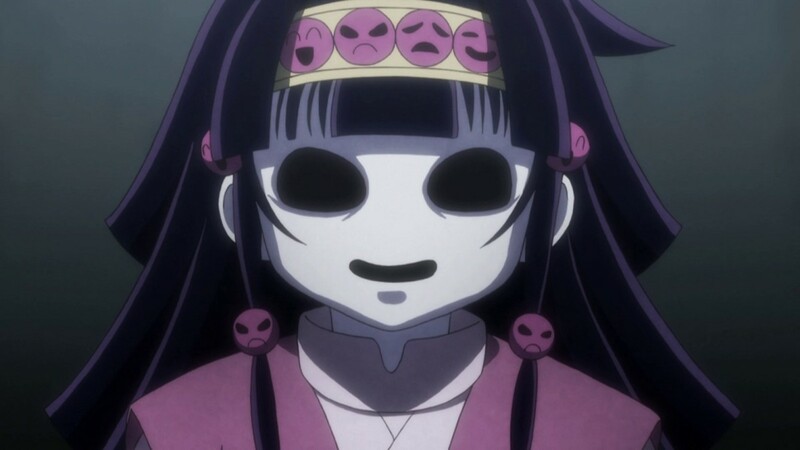 Selim and Killua are awesome, however Alluka scares the hell out of me, would not want to get on her/him/its bad side. As usual, you've got a fun list here, and the topic is most intriguing. I fully agree with Killua's skills as an assassin, and Pride is a very good pick. Mariko easily makes my Top 5 as well. I'm afraid I don't know the others; I don't even recall Alluka/Nanika. Was she in the original HunterXHunter, or just the reboot? A few others warrant mention, though. Your number one pick may be unfamiliar to me, but the description reminds me a lot of Ai Enma, aka Jigoku Shoujo, from the Hell Girl series. She may be a little old for this list, but you did push the envelope with a 14-year-old. The youngsters in Higurashi--When they Cry all had their moments to shine as deadly, cold-blooded killers, and some of them were clearly age-appropriate for this list, but none of them were psycho-killers every time, so use your best judgement on whether they fit. However, of the clear winners, the child assassins Hansel and Gretel from Black Lagoon definitely deserve a Top 10 spot. Also, though he is technically 800 years old, the boy Masato in Mermaid's Forest/ Mermaid's Scar has spent that entire time as a little boy, and is one of the most twisted, screwed-up and bloodthirsty characters in all of anime. If you can track down Mermaid's Scar, you will be creeped out; even if you have to make do with Mermaid's Forest (the final two episodes cover this story), you'll have to acknowledge Masato as one sick, twisted little kid. Anyway, what a nice, cheerful way to start the day. Enjoyable hub.